One of the greatest -- and most beleaguered -- MMA fighters of all-time finally knows when he is cleared to compete again. 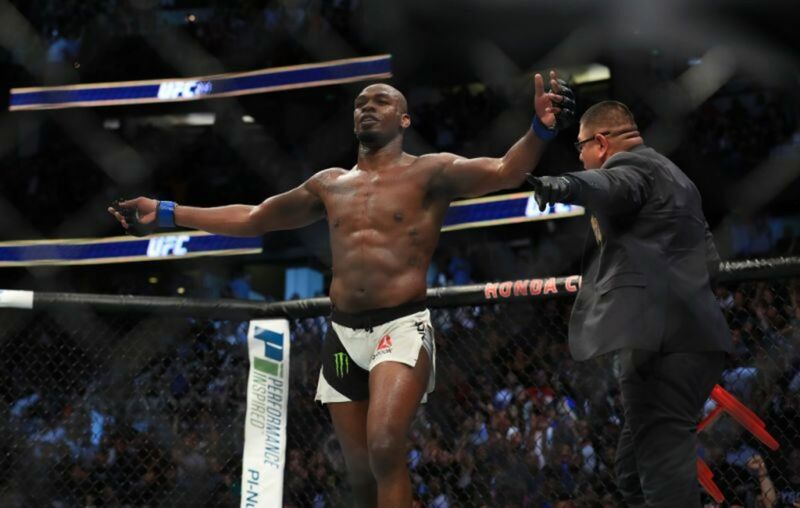 On Wednesday night, USADA announced that former UFC light heavyweight champion Jon Jones has received a 15-month suspension following a ruling by an independent arbitrator, Richard McLaren of McLaren Global Sport Solutions. The suspension is retroactive to when Jones tested positive for Turinabol on July 28, 2017, clearing him to return as early as October 28 of this year. Perhaps a coincidence, but the UFC's third trip to New York City's Madison Square Garden is set for Saturday, November 3rd, and is still lacking a main event. For what it's worth, UFC president Dana White said he looks forward to having Jones return in early 2019. The 31-year-old was suspended by USADA after that July 2017 in-competition test, taken just a day before Jones defeated Daniel Cormier in a rematch at UFC 214. It was Jones' second offense with USADA after a July 2016 positive test, coincidentially with an in-competition test prior to a scheduled rematch with Cormier. In their statement, USADA reduced the potential four year suspension for a second offense by 30 months, citing "substantial assistance" on Jones' part. The arbitrator then came to their ruling, citing a "reduced degree of fault" and the circumstances of the case which included multiple negative tests leading up to UFC 214. McLaren's ruling can be found here. UPDATE: Jones posted on Instagram about today's announcement: "It’s difficult to express myself at this moment but I can definitely say my heart is filled with gratitude and appreciation. I want to thank all of you who have stood by me during the toughest stretch of my life. It has meant the world to me and always will. But now is the time to shift the focus front and center to the road ahead. Greatness is what I’m chasing and the path to reclaiming my throne is now officially open. Comeback Season begins now"